Excellent opportunity for a developer. Possible commercial use on highway. Call lister for information on utilities. This gorgeous custom estate is nestled at the base of daisy mountain. Blending timeless european architecture, privacy & mountain views. With over 8,100 square feet no expense was spared and no detail was missed. Upon entering this stunning home you will be greeted by a coffered entry ceiling, brick barrel hallways, 22' tongue & groove beamed ceilings & 2 glass pocket doors. Throughout the home you will find pella wood casement windows, tumbled travertine floors, reclaimed wood flooring, highly upgraded lighting & window treatments, venetian plaster & stone walls. The main home offers 4 bedrooms. Each bedroom is ensuite with private bath plus a separate guest house with over 600 sq/ft. The backyard boasts resort living at its finest. Watch the aerial video to truly capture the location. 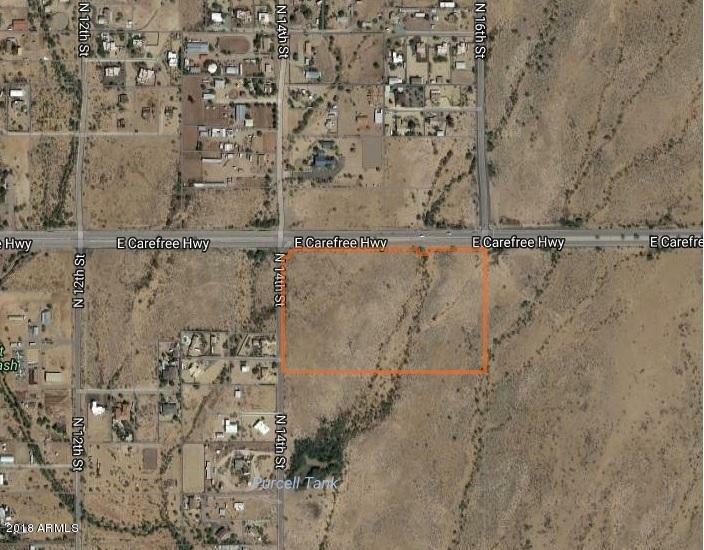 Great commercial potential with approximately 600 feet of carefree hwy frontage access. North east corner of carefree hwy and 10th st. Listing consist of 3 parcel, an 211-52-016-d, 211-52-016-e and 211-52-016-g. Parcel d and e includes private franchise water meters. Parcel d includes a home included in as is condition. Consisting of 6 lots in total203-23-008a,203-23-020e, 203-23-008f 203-23-007h, 203-23-007f & 200-23- 008 j. Can be subdivided. Buyer to verify all information. Beautiful views in every direction. Don't miss this one! Site is perfect for capturing the gorgeous sunrises, captivating sunsets and glimmer of the city lights at night. Great location * developers dream lot * builders take a look , mountain top lots consisting of a total of 17. 88 acres. Can be divided with fantastic building lots on south side and in saddle between two mountain tops. 360 degree views can make one of a kind home sites not usually available for purchase utilities close to corners. Beautiful views in every direction. Don't miss this one! 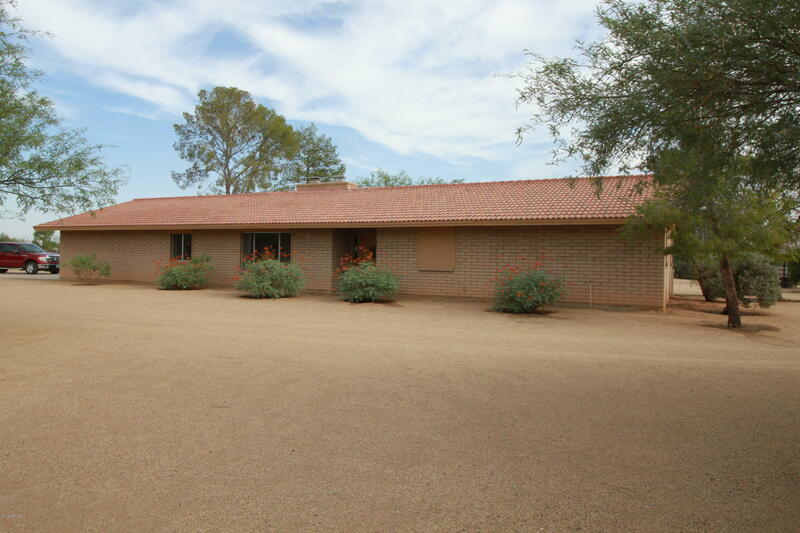 Income generating opportunity- ag zoning - professional horse property 4. 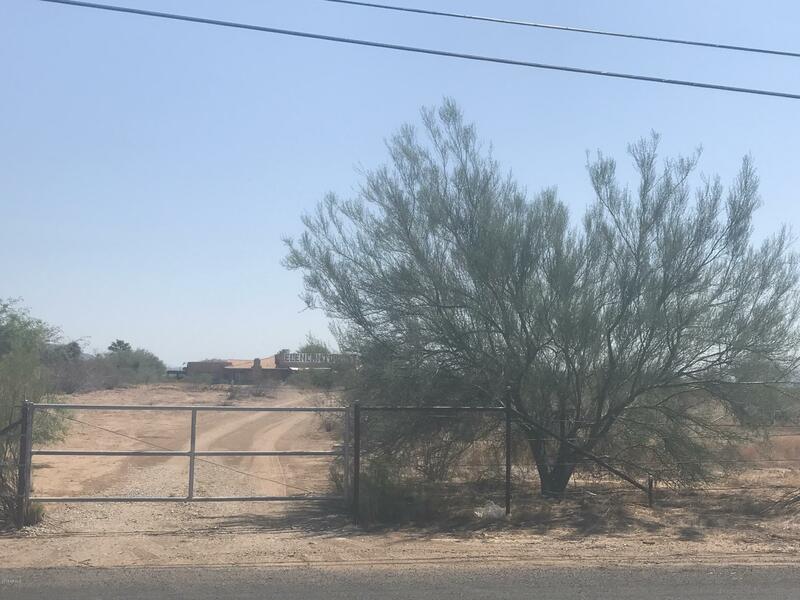 8 acres with complete set up. 3 residential properties included. Main house, single level 5 bed/3 bath split. 2211 sq. Ft. With a 1214 sq. Ft. Garage/work shop. 2nd home is slump block, 4 bd. /2 bath with private front and back yard. 3rd home is manufactured 3 br/2ba with carport and private back yard. Each residence has individual electric meter and septic system. Automated gated and fenced property. 21 oversized stalls/pens. 6 shaded paddocks, auto waterers, wash racks, tack rooms, grooming area and multiple rv hookups. Covered hay storage, round pen, huge arenas. Property is workable for many different disciplines. Impeccable attention to detail throughout this high end upgraded custom home. Hard to find property w/8 car detached rv garage + attached guest suite. Almost the entire home has newer custom cabinetry & countertops & plaster walls. Gourmet kitchen w/48'' wolf range, built in column style refrigerator, integrated built in dishwasher, wolf microwave & walk in pantry w/built ins. Master suite has custom vanities, marble flooring & shower & 2 closets w/custom cabinets. Bdr #4 has its own spacious bathroom & walk in closet. Bdr #2 & #3 share a jack n jill bathroom. Separate guest suite w/family area, mini kitchen, bedroom + full walk in closet & bath. 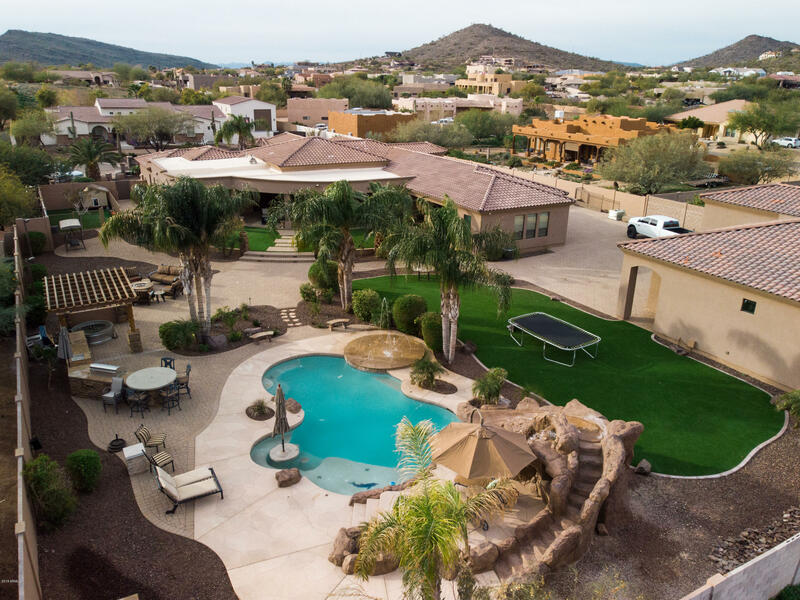 Entertainers dream backyard w/low maintenance artificial turf, built in bbq area, gas firepit, splash pad & pool w/grotto & slide. A must see! 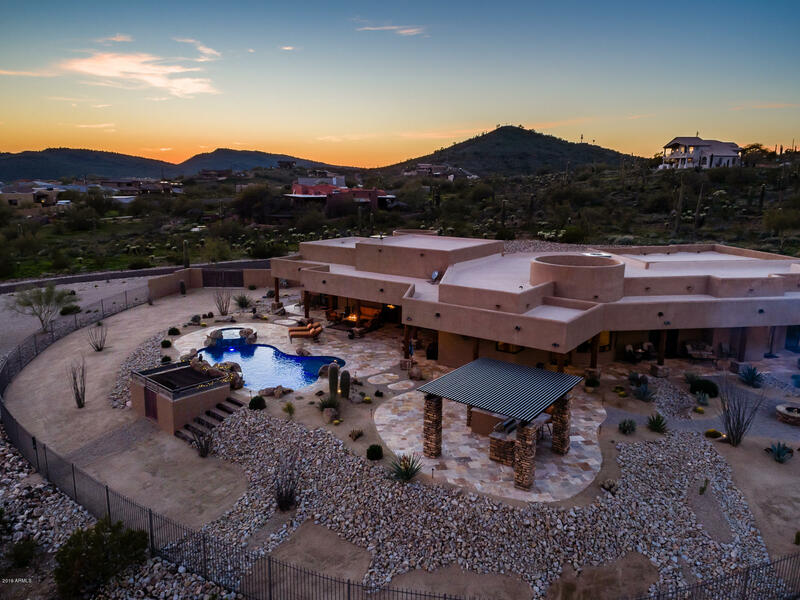 360 degree views from this stunning custom home on 2. 57 acres with a private well! Immaculately maintained, designed by michael dailey & built by baker design group, this home is high quality and well thought out. Just some of the beautiful features incl. Travertine flooring, stone fireplaces in living and master bedroom, granite counters, oil rubbed bronze fixtures, & a cook's kitchen w/ copper sink. All cabinets are alderwood w/ cabio finish and soft close. Ask about sound cancelling insulation. Enjoy outside living at it's finest! With 9,000 sqft of travertine pavers, it is the perfect entertainer's home. Bbq under the aluma-wood pergola, roast marshmallows by the fire pit, or splash in the pool before taking a dip in the spa. There is lots to enjoy. It is peaceful elegance! 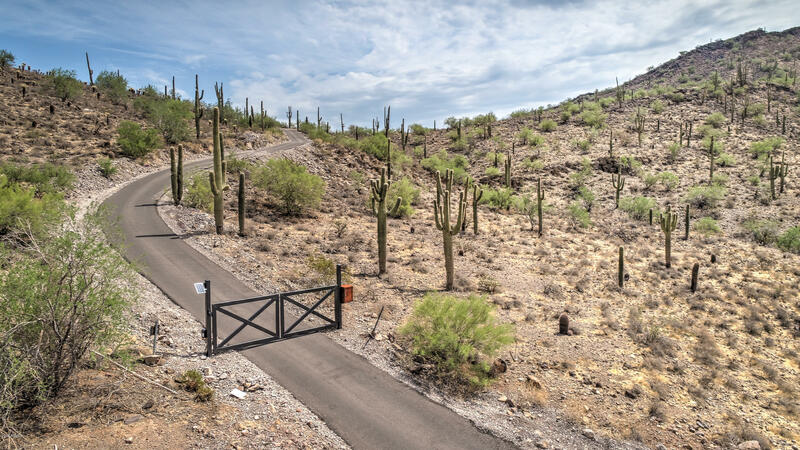 Highly desirable area with new custom homes and ranches with paved roads. 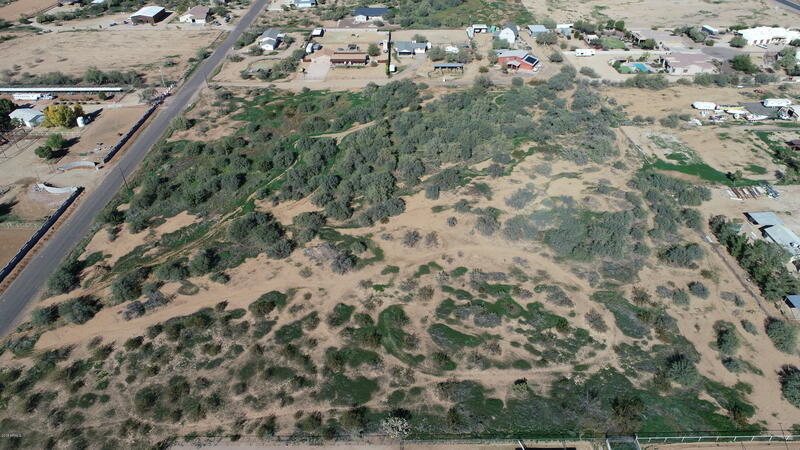 10 acre parcel, level and easy to build! One acre zoning offers several options for possible development. Existing one plus acre homes to north, south and east. Across the street to west is an impressive ten acre horse facility! 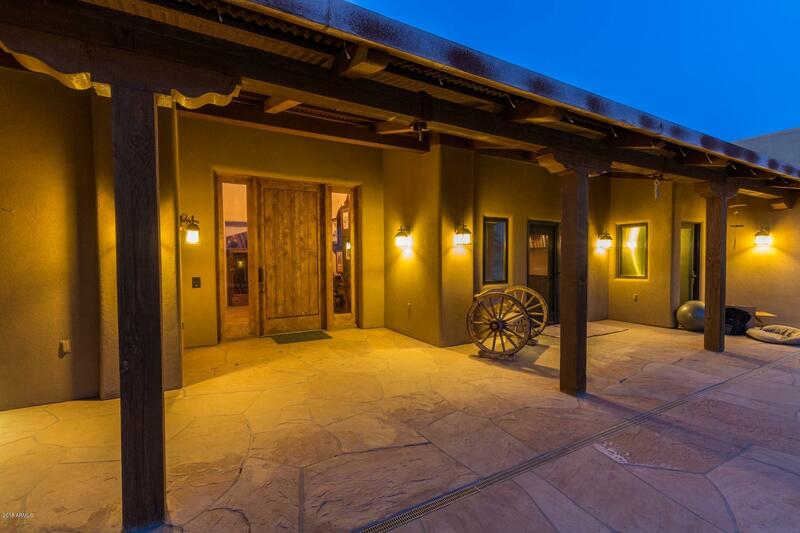 Rare, 5-acre, turnkey, horse property now available in desert hills. Great location. This classic 2300 sq ft, custom home is situated perfectly in the coveted ''desert hills'' area in close proximity to the carefree highway. 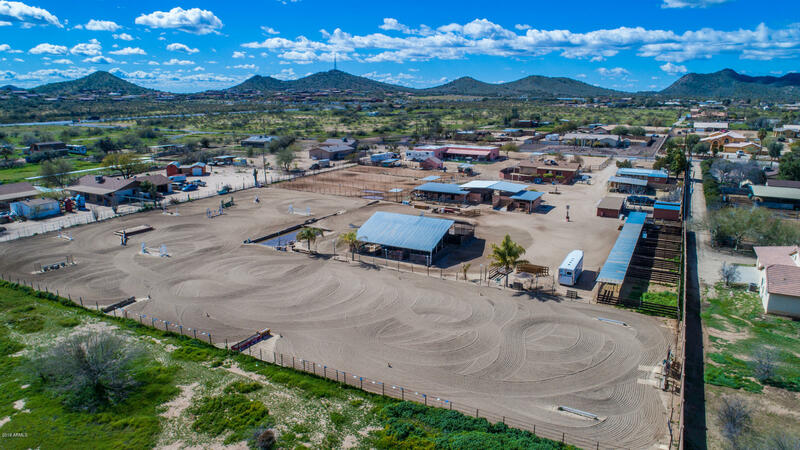 This horse lover's paradise features several unbelievable large pipe-constructed, shaded, horse pens, a clever automatic watering system, the best feeders that money can buy and and an enormous ''finished'' tack room. Mature landscaping complete with monstrous palm trees thrive on a programmable drip system. External metal roller shades, massive screened porch, attached hot tub room, 2 fireplaces, attached heated/cooled 2 car garage, outside entertainment area, enormous fire pit and many amenities. Plenty of room for an arena. Owner is selling completely furnished. 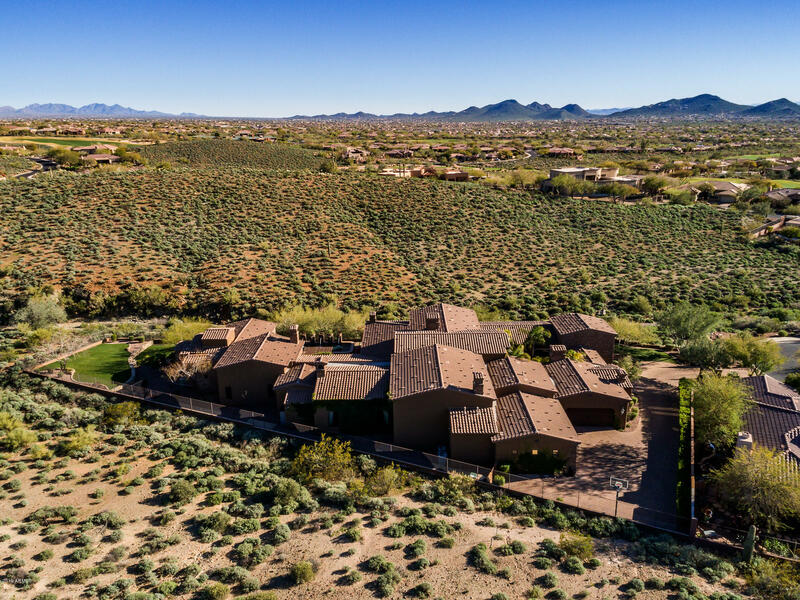 As of today, 4/21/2019 the average home price for homes for sale in Anthem is $445,029.